Originally from northern Utah, Nichole began guiding around West Yellowstone in 2014. 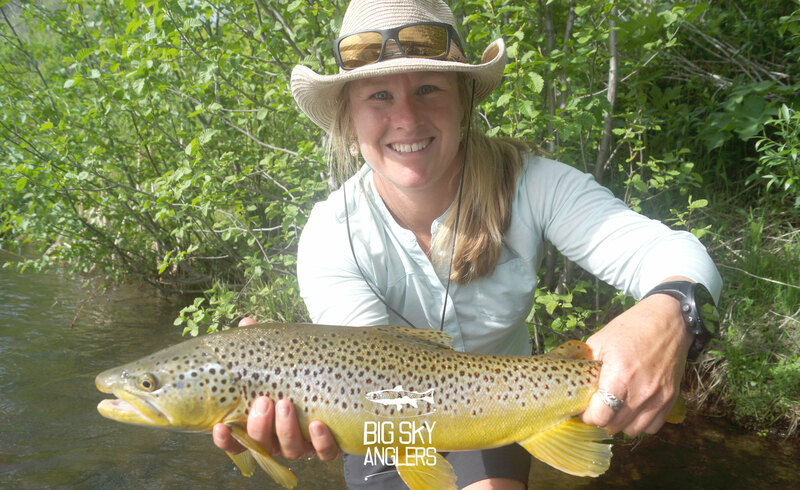 She joined Big Sky Anglers in 2018 and has quickly become a well-respected and sought out member of our staff. Although still considered green by guiding standards fly fishing has played a major role in her life. What’s more, every person we’ve matched Nichole up with on the river comes back with great things to say about her skills as a guide and her easy going personality. She’s proven herself to be a great teacher, able to quickly get beginners angling effectively and more experienced anglers climbing toward the next level in their pursuits. 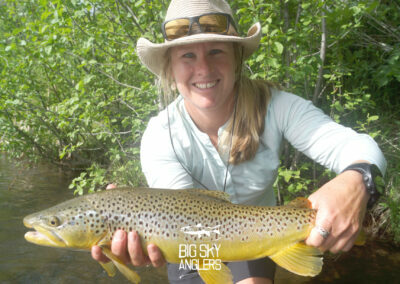 From the Madison, to the Henry’s Fork, and across Yellowstone Park, Nichole is an extremely competent guide and angler. Nichole’s other life passion is skiing, and all winter long she can be found laying down lines in her beloved Wasatch Mountains. She is a Snow Safety Supervisor for Powder Mountain Ski Resort and her days off are spent touring in the backcountry. Her shoulder seasons are spent riding mountain bikes, fishing in new places, and renting RV’s to go backcountry skiing around the world.